Just because you can’t be loud doesn’t mean you can’t get a great workout in. Try these quiet moves, and you’ll have no angry neighbors banging on your door. We promise. The kettlebell swing is a great multitasking move that will improve strength while also spiking your heart rate. To perform this move, keep a loose grip on your kettlebell and keep your legs about hip width apart. Bring the kettlebell between your legs, hinging at the hips. 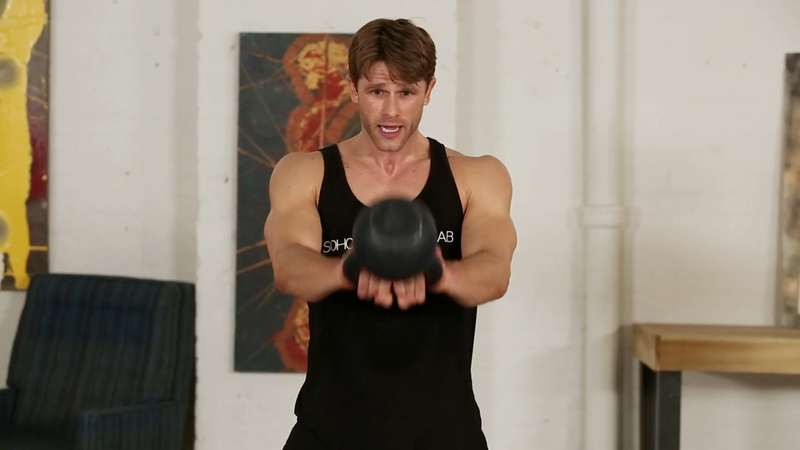 Next, swing the kettlebell upwards, using your hips to generate the momentum. This entry was posted in Fitness Tips and tagged brooklyn bridge bootcamp, fitness, fitness form, fitness routine, home fitness, quiet workout, rexist360, shrink session, soho strength lab on February 19, 2015 by TeamBooya.